229-244-6893 2000 Homebuilder support includes home qualification and cooperative advertising. 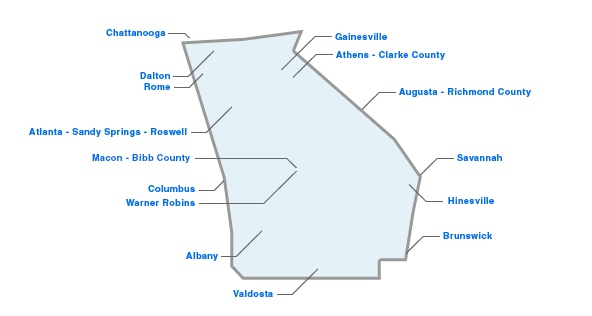 800-524-2421 2000 Homebuilders can obtain rebates for ENERGY STAR certified homes and as long as they meet requirements of Georgia Power's EarthCents New Home Program. 706-367-5281 2006 Homebuilders can obtain rebates for qualifying new homes as ENERGY STAR. Additional support includes plan reviews, technical workshops, on-site inspections and home qualification. Homeowners can obtain discounted rates for buying new homes qualified as ENERGY STAR. 770-887-2363 2007 Homebuilder support includes rebates for qualifying new homes as ENERGY STAR.